Anyone considering wrapping their 3s? If so, what color do you have in mind? I like it. I'd love to see it finished. I've considered ordering black and having it wrapped in a different color, like a British racing green or something unique like that. But I think I've finally settled on getting white. I just don't get the whole wrapping idea. And for goshsakes, who wants a matte finish? It looks like it's waiting for a paint job. To each their own, including pink wraps! Black with red looks amazing, but I don't want to maintain a black car; light color will hide imperfections so much better. The 3 so deserves a much expanded color palette to chose from. Bright sunflower yellow wrap and paint the aero wheels to be white daisies with yellow centers. And no, not kidding. Just don’t have the guts to do it. Why not? It comes off and the paint underneath is protected by it. I'm planning on just doing a chrome delete on a white car. Wraps can look great till you open a door or trunk lid. Love this!!! And yeah wish Tesla offered this color. My new dream car is the Roadster V.20 in yellow. Surprised at the wrap price of this 3 though! The owner of the car said it cost $2,000 (saw his Reddit post), which is crazy cheap IMO. I know a guy who had his 3 wrapped and it cost seven grand. I guess that's the Bay Area prices coming into play. Oh man, I didn't even think about the new Roadster in that color. That would really look awesome! 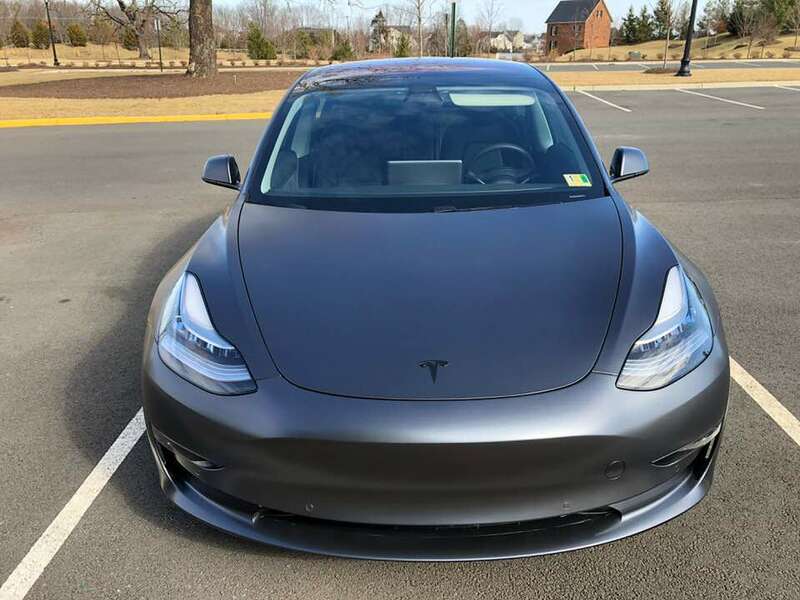 I would even consider having my Model 3 painted this color for what some charge to do a full wrap. I think a lot of the cost variation is down to the quality of the work done, some shops disassemble quite a bit of the car and others do not. For $2,000 that one looks pretty good but I wonder about the quality close up. I'm planning to wrap mine in matte paint protection film and do a chrome delete. New wheels, too. I would really like to see this in person. Or some more pics. I would totally do that if I could afford it.